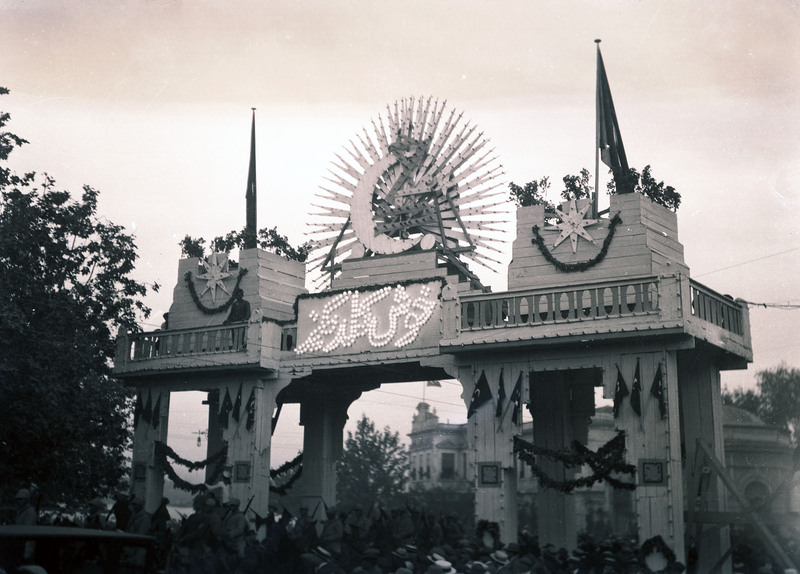 The exhibition “The Republic in İstanbul: Scenes from A Celebration“, which opened last week at the Istanbul Research Institute, focuses on Republic Day celebrations in the İstanbul of the early Republican period with a selection from the Suna and İnan Kıraç Foundation Photography Collection. Republic Day celebrations in İstanbul would begin several days in advance during the early Republican period. Flowers would be laid at the Republic Monument in Taksim; government agencies, private institutions, houses, shops, boats and trams would be decked with flags and banners. for the celebrations, Beyazıt, October 29, 1928. On the morning of October 29th, at around 10 o’clock, a band as well as gendarmerie and police units would greet the visitors of the governor of İstanbul in front of the Governor’s Office on Babıali. The ceremonies always took place at Beyazıt Square. 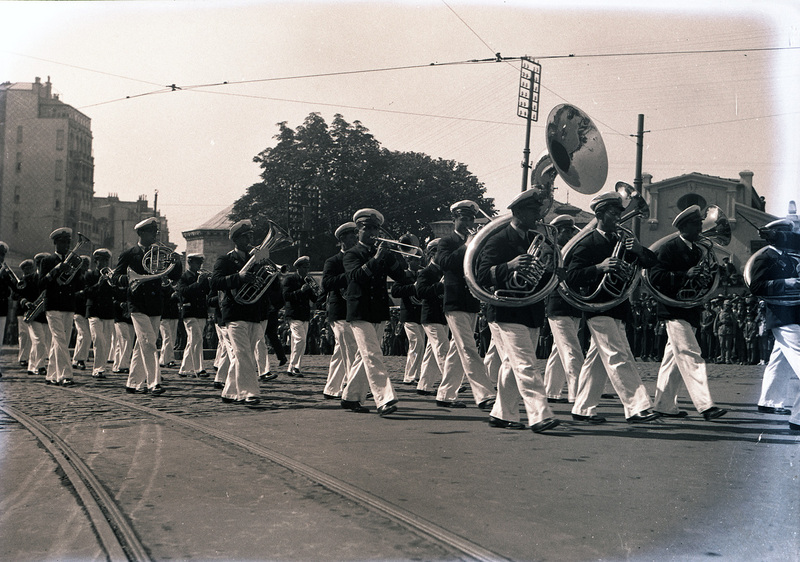 First veterans, military units, military schools, tanks, and the police would proceed with the marches the band played. Next, a carriage decorated with flowers would arrive. 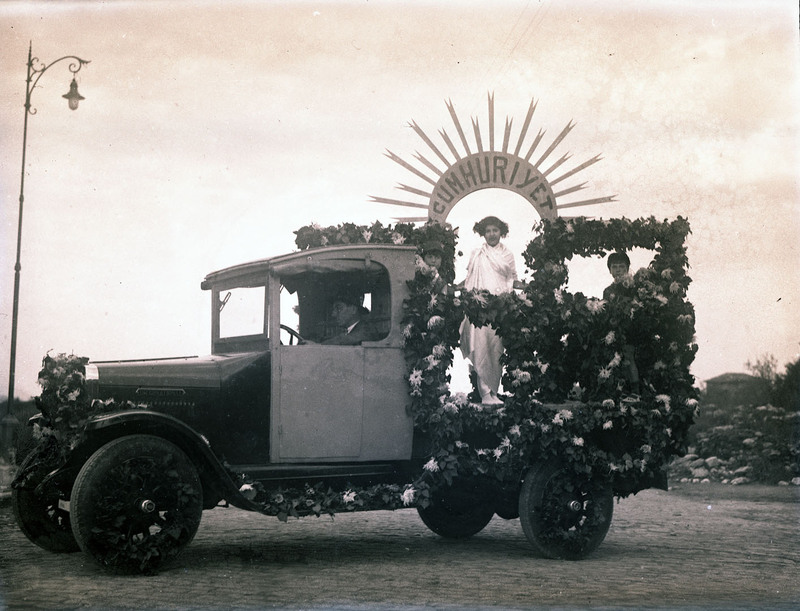 Dressed in a white dress, a young girl in the car would hold a sign that read “Cumhuriyet” (The Republic); she would be surrounded with other young girls in red dresses. A cortege car, October 29, 1930. After that, students of İstanbul University, the school for higher learning, teacher’s school, high school, and middle school would walk alongside boy and girl scouts carrying their horns and trumpets, firefighters in their trucks, and craftsmen’s associations with their signs. 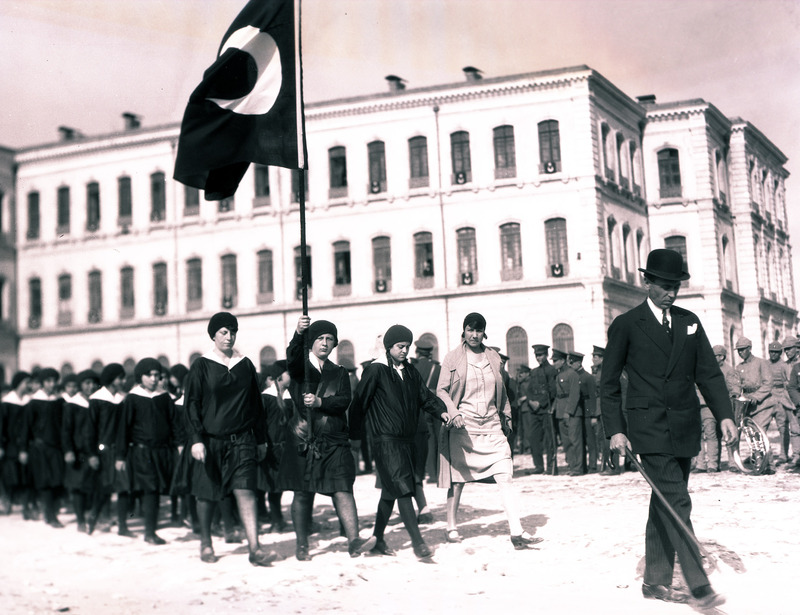 Students and teachers, Beyazıt, October 29, 1929. During those years, the procession had an unchanging trajectory after leaving Beyazıt Square. The participants would march past the crowds on Yeniçeriler Caddesi, Divanyolu, Alemdar Caddesi, Sultanahmet, Sirkeci, Reşadiye Caddesi, and Galata Bridge, climb up Şişhane Hill, reach Tepebaşı, and access Taksim Square via İstiklâl Caddesi. The procession would end at Taksim Square. The exhibition “The Republic in İstanbul: Scenes from A Celebration” can be seen free of admissions until January 9, 2016.